The Go-To Swimming Pool Service Company in the South Bay, Serving the communities of Morgan Hill, San Martin, and Gilroy to the south and Almaden, Willow Glen, Saratoga, Campbell and Los Gatos to the North. My Name is Ryan Myers, I am 31 years old and have been born and raised in beautiful Morgan Hill my entire life. I have been an apprentice with the local electrical union for 3 years and worked for a local pool service contractor for another couple years then got smart a decided to open my own business and we are going on 3 years now. Your satisfaction is our success. At Trinity Pool Service, customer satisfaction is our number one objective. 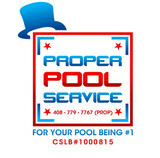 We are committed to providing you with a safe, clean and enjoyable pool experience. Our personalized service is based on open communication with our client, the integrity of our work and your valued feedback. Communication between Trinity pool technicians and our clients are the key to success. We aim to resolve any problems your pool may have in a timely manner. Working hard to provide the appropriate solutions is what we strive for. As our client, you will be able to contact Trinity Pool Service at any time through email, or our direct phone line, Monday - Friday, 8am - 5pm. We are committed to responding within 24 hours. 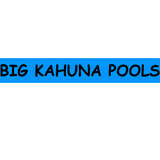 Aloha from Big Kahuna Pools! With plenty of experience gained over the years, you can trust us to keep your pool clean! Providing quality service & repairs in the South Bay for almost 30 years. We offer a range of maintenance procedures for swimming pools and spas. Whether you’re looking for regularly scheduled service throughout the year or an electrical and plumbing specialist to make a small or large repair, we can help. Our dedication to quality work and customer service means you’ll be satisfied with the end result. And our service contract customers will appreciate the timely, efficient way in which our team conducts appointments. Simply said, we offer great quality and service the American Way, a proud veteran with over 40 years of plumbing and electrical experience. As a licensed contractor I am insured and bonded. Our business was founded on the highest standards of customer service excellence, a tradition we extend to each and every new client we work with. We are the best in everything we do – and the reason why is surprisingly simple: we care. We care about our customers and we care about the quality of our service. If quality matters most to you and if you want to do business with a company that works hard to meet your needs, look no further than Capitola Pump Co. Inc. We have the skills and experience to meet all of your demands – and exceed all of your expectations. Santa Clara Valley Pool Service is operated by Ron Larkin, who is the sole owner and water chemistry certified pool & spa service technician, whose main mission is to provide his customers with the best quality service and repairs in the greater "Silicon Valley" area. My goal, every day, is to do the best job, whatever that entails, and I take great pride in doing so. Quality is not just doing the right things; it's doing the right things well. I believe in consistently doing a superior job, maintaining good communication and being available when problems arise with your pool system. Keeping my customer's pool water safe and clean is my top priority. Building customer confidence is of utmost importance to me. Jon Robinette "The Mastic Man!" is the bay areas leading professional for all your residential and commercial expansion joint and crack sealing needs. Mastic is important because it seals the expansion joints and can prevent costly problems such as settling, cracking and copping stones coming loose (as a result of water intrusion) as well as beautifying the area. Deteriorating mastic can also be a liability issue and a building code violation. You should replace mastic if you see it pulling away from either side, weeds growing out of the crack or ants making a nest in there. By keeping mastic up to date with high-quality product, you are protecting you investment and adding years to your pool and concrete life. Pool Pros offers pool service maintenance, repairs, installation and construction of any swimming pool and spa related work. We are a group of motivated people that focus on customer service and make swimming pools are our priority. Our company is fully insured, we've been CPO's for 7 years with 11 years of experience in water chemistry, commercial grade filtration and heating systems. No job is too small. Our work speaks for our selves. You will not be disappointed with our services if you give us the chance to be part of your team. Contact us today for any pool maintenance needs! Action Pool & Spa is a family-run company, dedicated to providing premium pool care service to South Bay residents. We are your one-stop source for the most complete swimming pool service, maintenance and repairs in the Bay Area. Our staff has been treating Bay Area pools for more than 12 years, with our primary focus being on maintaining a worry and hassle-free swimming pool experience, while also placing an emphasis on outstanding customer service. Our knowledgeable staff specializes in backyard pools as well as major commercial pools. Whether you have a monthly/weekly cleaning budget to work with or are looking to get your pool professionally cleaned for that special occasion, give us a call for a free estimate! Providing the best service for your pool Mr. 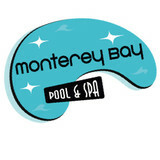 Pool has been servicing the Bay Area for 10 years, bringing safe, quality service to your home. We help take away the hassle from the thing you should be able to enjoy the most, trust in Mr. Pool. What should I look for when hiring a pool cleaning service in Aptos, CA? Pools and hot tubs are big investments, so you’ll want to make sure to protect them by hiring an expert who cares about them just as much as you do. Check that the Aptos swimming pool maintenance service you are interested in actually specializes in the type of pool you have — chlorine and salt water pools have very different needs, and in-ground versus above-ground pools will require different upkeep and repair methods. Also, know who will be doing the repair or service; if it’s one of the larger swimming pool services in Aptos, CA, request that you get same person every time, otherwise you could get inconsistency in treatments. Good Aptos pool professionals will keep a consistent schedule and log everything they do so that it can be referenced in the event that you switch companies or something does go wrong. Like any other professional, look for local pool cleaning companies near you with plenty of good reviews and relevant experience. Find an Aptos, CA swimming pool repair and maintenance specialist on Houzz. Narrow your search in the Professionals section of the website to spa and pool maintenance companies in Aptos, CA and read reviews and ratings for pros in your area.